Where Did January Go, Again? This time last year my post was entitled ‘Where Did January Go?’ And a year on, it’s happened again! It’s been nearly three weeks since my last post, oops. We’ve both been ill with coughs and colds, so progress has been slowed – and let’s face it, it’s hardly rapid at the best of times. Anyway, on with the positives, I’ve had another day class on my dreaded upholstery project, amazingly though I came home and worked some more on it, I only need to put the back panel on and I’m done! We started the grouting of the kitchen floor yesterday, which we should have done about a month ago, but sometimes life just gets in the way. Turns out grouting floors is a lot more time consuming than expected. As the tiles are so deep we’d half filled the gaps with the runny adhesive left-overs, this has made the grouting easier, but still takes forever. We found it was best to discount the manufacturers instructions on drying time and leave the grout for a good few hours before attempting to smooth and clean up. There’s a quick before, during and after above. 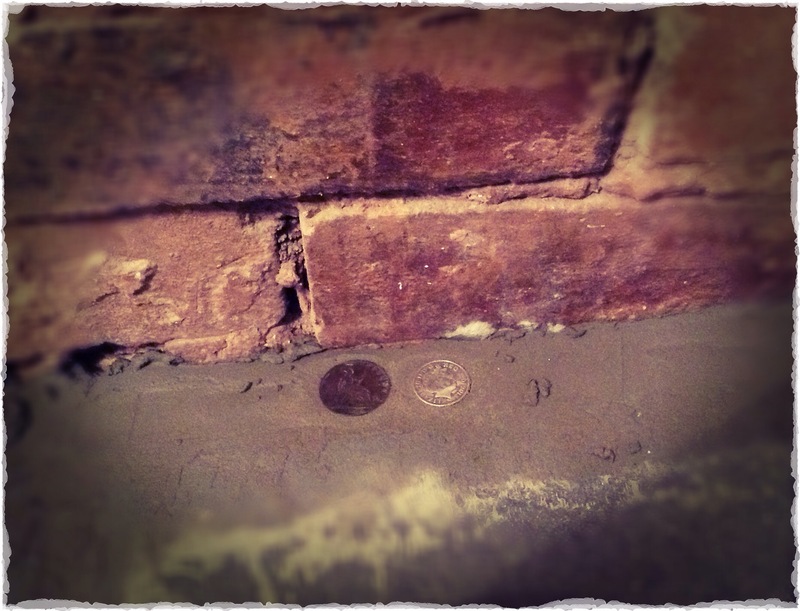 I’ve pushed an 1888 penny which we found under the floorboards of the bedroom into the grout where the dining area wall meets the floor, it’s joined by a 2013 coin, the year we moved into the house. We’ve no idea where the old coin came from, but feels like it should stay in the house having been here so long, it’s certainly here for keeps now! 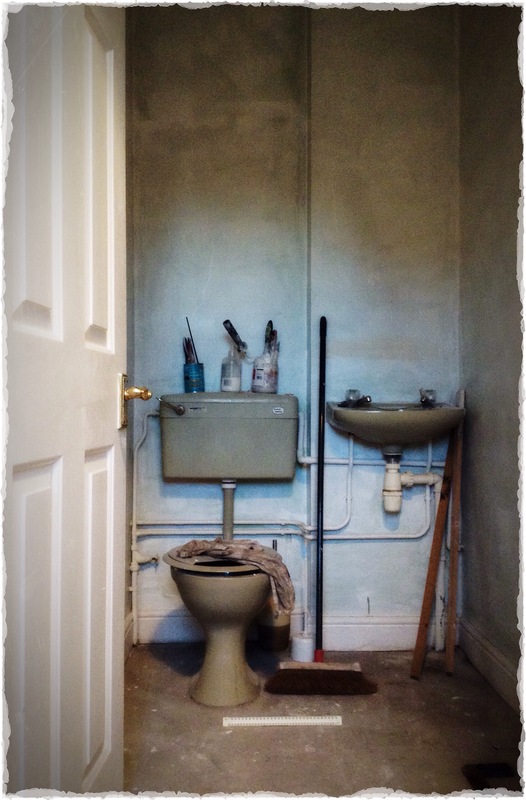 We’ve also started planning the downstairs cloakroom, viewers of a nervous disposition look away now. We love to travel, and this room is going to be our little adventure gallery…with a chandelier and vintage mirror. Probably. 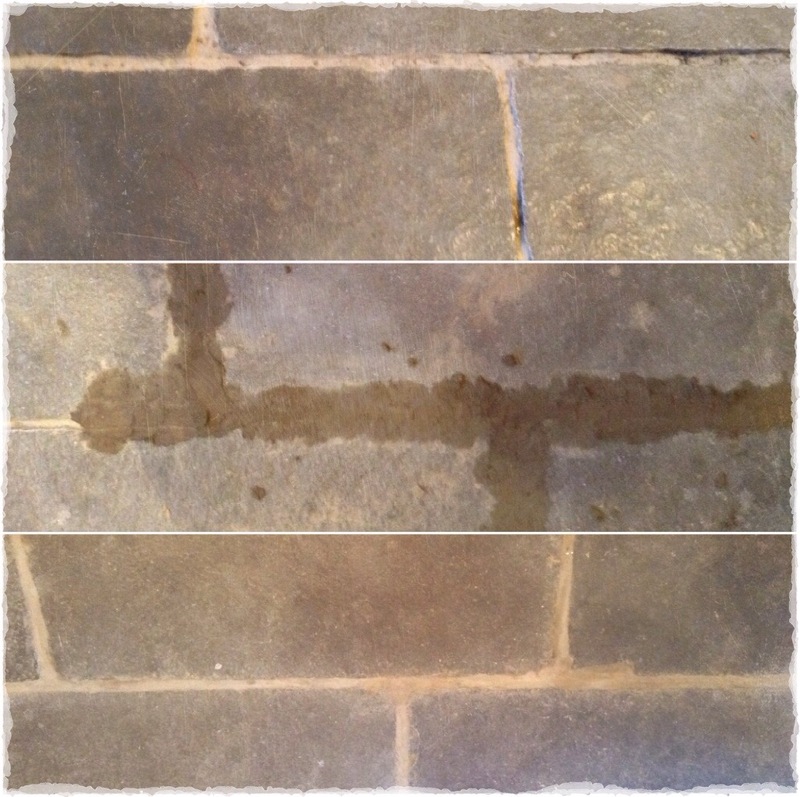 This entry was posted in kitchen, Uncategorized and tagged gallery, grout, stone floor, upholstery by ladylansdowne. Bookmark the permalink. What? It’s not January anymore?! Where did it go? I am right there with you. Yep, That’s the word on the street! Have a good week. It’s nice to leave a little something behind I think, reminds us that we only ‘occupy’ these houses for a while! Have a good week. I love the idea of the coins. I, too, feel more like a “steward” of my house instead of an owner. I wonder who will take over when my tenure is up? That bathroom looks like a fun project! Good luck … and I hope you are both feeling better! !